Please pray with us for all the intentions of the Miraculous Medal Association. If you are an individual, say both the Leader and People parts when you pray. Leader: Come, O Holy Spirit, fill the hearts of Your faithful, and kindle in them the fire of Your love. Send forth Your Spirit, and they shall be created. Leader: Let us pray. Oh God, who did instruct the hearts of the faithful by the light of the Holy Spirit, grant us in the same Spirit to be truly wise and ever to rejoice in His consolation, through Jesus Christ, Our Lord. Leader: O Mary, conceived without sin. Leader and People: O Lord, Jesus Christ, who have vouchsafed to glorify by numberless miracles the Blessed Virgin Mary, immaculate from the first moment of her conception, grant that all who devoutly implore her protection on earth, may eternally enjoy Your presence in heaven, who, with the Father and Holy Spirit, live and reign, God forever and ever. Amen. You know, O Mary, how often our souls have been the sanctuaries of your Son who hates iniquity. Obtain for us, then, a deep hatred of sin and that purity of heart which will attach us to God alone, so that our every thought, word and deed may tend to His greater glory. 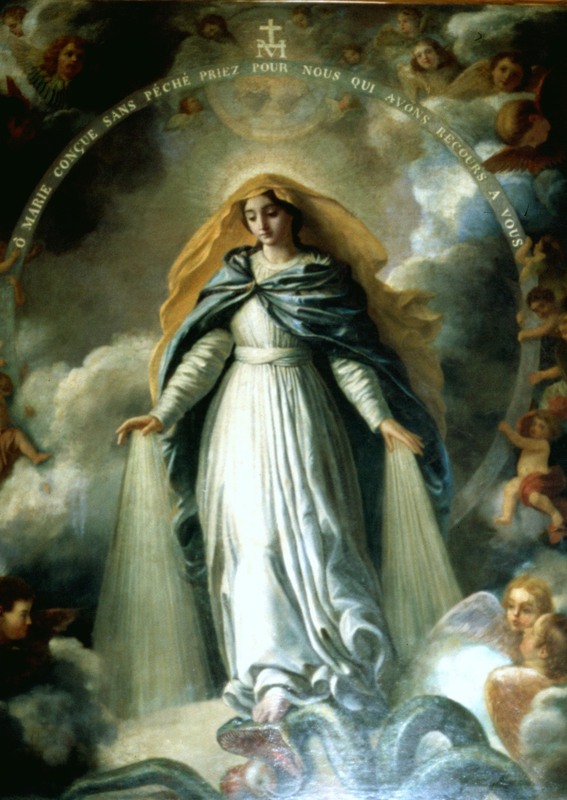 Obtain for us also a spirit of prayer and self-denial that we may recover by penance what we have lost by sin and at length attain to that blessed abode where you are the Queen of angels and of men. Amen.